Mother’s day is right around the corner. I have a wonderful idea for the perfect gift. 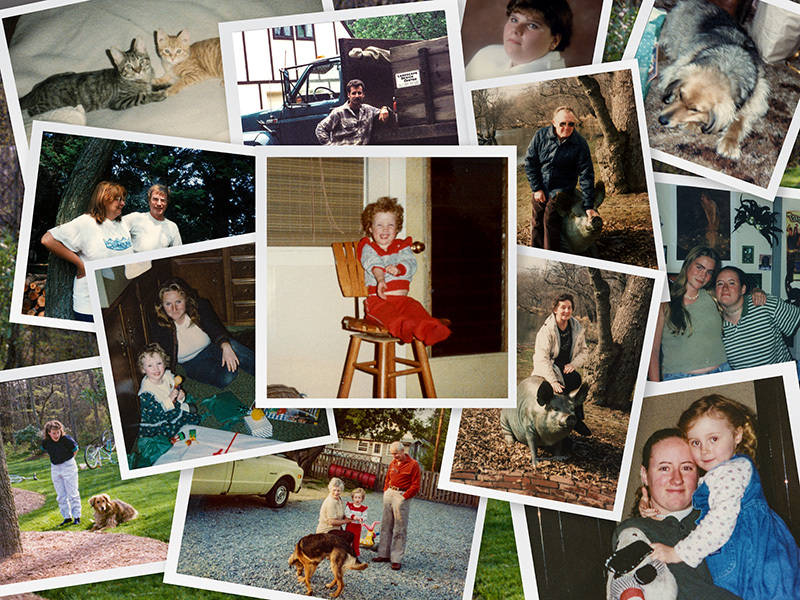 Find some of the greatest photos of your family. All the photos you’ve taken of vacations, birthday parties, stupid kid tricks and I’ll make a photo collage of them. 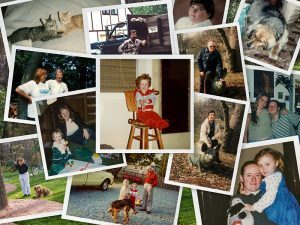 She’ll have all her favorite memories in one place to cherish any time she wants to remember each of her children, animals or other family members and friends. The best way to start is to decide on a theme like favorite birthday parties, or favorite holiday memories, best vacations, longest friendships. This is a collage I created for a Mom who wanted to give her daughter a collection of all the most important people in her life as she grew up. Then choose the most important images that you want on top, upfront, the first ones anyone notices as they look at the collage. Choose others to be on the outer perimeter and used to fill in spaces. Then decide on a background image to pull the whole thing together. I’ll be happy to help you in any way I can. Just send me a message through the website or comment or message me through FaceBook. Mother’s Day is Sunday, May 13th. You’ll need to find those photos, decide on a layout, put it all together and frame it so let’s get started!!!! This entry was posted in art, Blog, Collage, creativity, Gifts, Mother's Day, Photography on March 16, 2018 by Barbara Talbott. Get a 20% coupon to use in my Etsy shop when you subscribe!